If you spend enough time in any community, you come to know the places and people that have become unofficial monuments. It could range from the family-owned restaurant that’s just always been there, the mural on the side of that one building, or the person who’s such a fixture, generation through generation, that whenever their name comes up, someone else always says, “I know them, too!”. If you’ve spent any time in Seattle on the parallel access ways of Rainier Avenue and Martin Luther King Jr Avenue (and Bugs might have been around when it was still called Empire Way), then you know the name Bugs. And you know that Alfred “Bugs” Love Jr. is an unofficial monument of a man. Bugs is a staple in the community — born and raised in Seattle, proud graduate of Ingraham High School — and he is a man who has quietly dedicated his entire life to service. There’s always that person in the community who seems like they’ve been an adult their entire life, their age ranging from 19 to 91. Bugs is ageless, yet his impact is timeless. Most know him as Coach Bugs, as he has served in numerous capacities from a volunteer community center to assistant high school basketball coach for all ages and all genders. 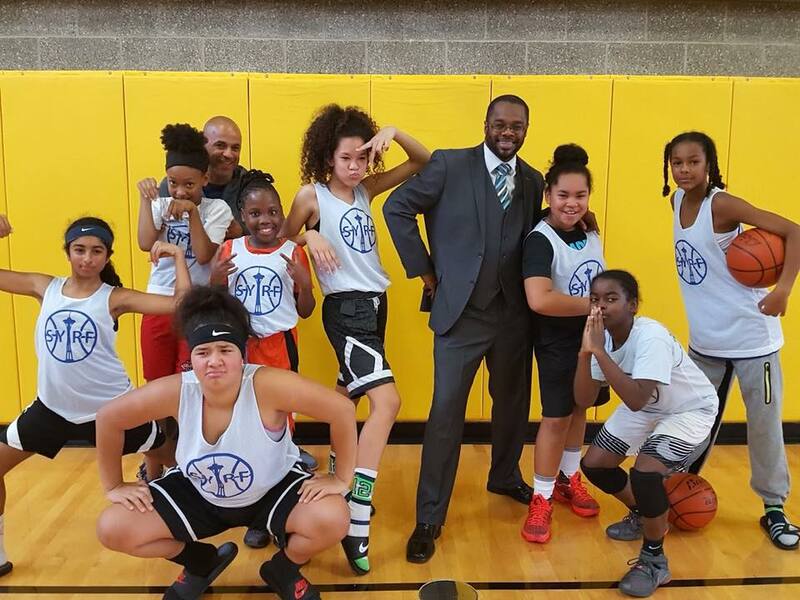 He has spent a majority of his time empowering young female athletes and modeling what it means to be a “man.” It is very possible that 49% of Seattle’s youth basketball population has been coached and or mentored by Bugs at some point. Yet what separates Bugs isn’t his basketball acumen, it is his commitment to building a better community. Bugs is the person who embodies many of the values that hold a neighborhood together. Whether taking the time to meet with a parent who’s struggling with their pre-teen, or helping and then teaching a distraught kindergartner to put on their jacket to go play, Bugs is a quiet constant in community. Like many others, the first place of love and support for Bugs is at home, and as a proud family man, he celebrates his parents, children, siblings and grandchildren. I firmly believe that there is power to be found in names — “Words are things,” as Maya Angelou famously stated. If this is true, then Bugs Love is a giant amongst insects when it comes to offering accountable, authentic and unconditional love. Coach Bugs Love has been the definition of service leadership for more than 30 years. His impact radiates within the community, and this is why Coach Bugs is Black History, today!